Heydar Aliyev Palace invites little guests to enjoy the spring arrival. The concert timed to Novruz holiday will be held on March 22, at 13.00 Trend Life reported. 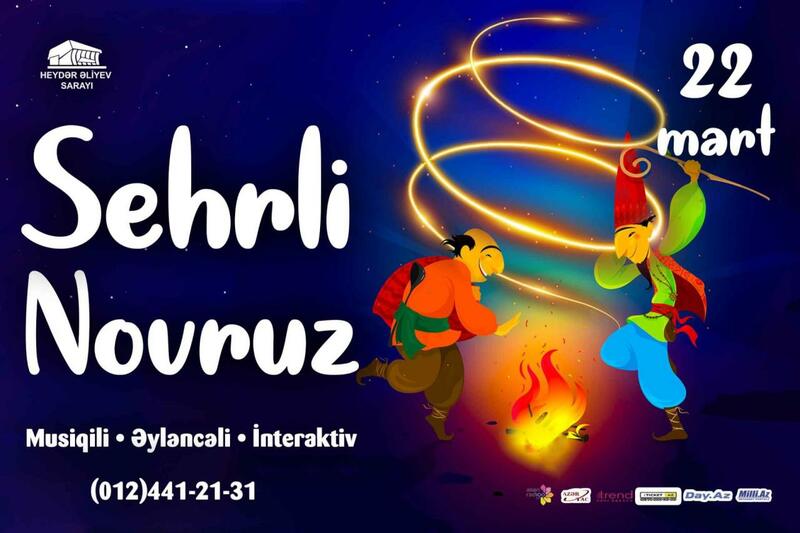 A bright and colorful show with the participation of favorite characters of Novruz - Kosa, Kechal and Bahar gizi will be presented to young viewers. The performance of dance group, singers, illusionists and interesting games await little guests. Ticket price is 6-25 AZN ( $ 4- 15). Tickets can be purchased at all ticket offices of the city, ASAN Service Centers, Ganjlik Mall and 28 Mall, as well as online at www.iticket.az. On March 20-21, Azerbaijan celebrates one of the most ancient, beloved holidays – Novruz, which reflects the traditional values of country's people. Before the holiday, people mark four pre-holiday Tuesdays, each of which is dedicated to the awakening of one of the natural elements called Su Chershenbesi (Water Tuesday), Od Chershenbesi (Fire Tuesday) Hava Chershenbesi (Wind Tuesday) and Torpaq Chershenbesi (Earth or Last Tuesday).